The strength of a community is reflected in its’ people. When considering a place to call home and putting your roots down, one major consideration is finding a church home. We ask ourselves, “Where will I be able to give and fill up so I may be a rooted, happy & a productive citizen? ” FBG is filled with many wonderful churches, Priest/Pastors & active community of believer’s. Our yellow pages are filled with phone numbers and addresses of possible churches you may call home with communicants waiting to welcome you. I know you’ll be pleased….check us out! 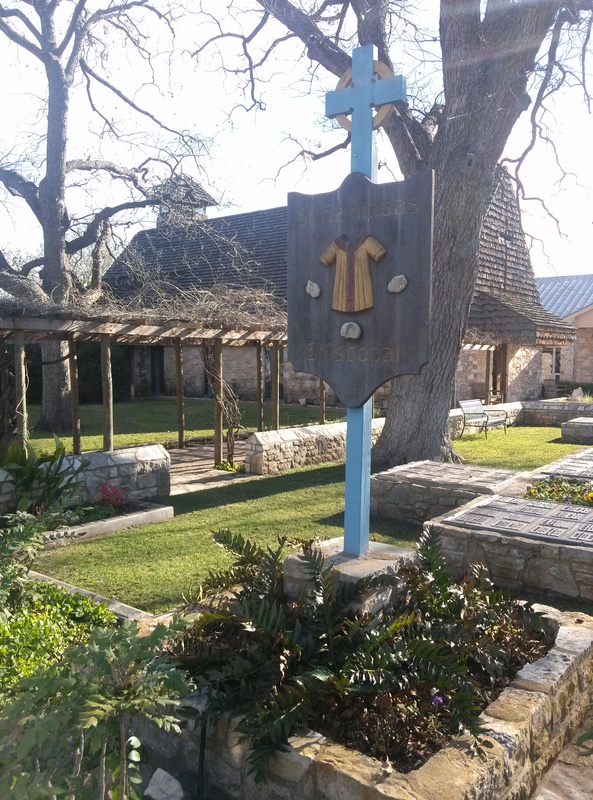 Pictured: St Barnabas Episcopal, Creek St. So proud of these agents. 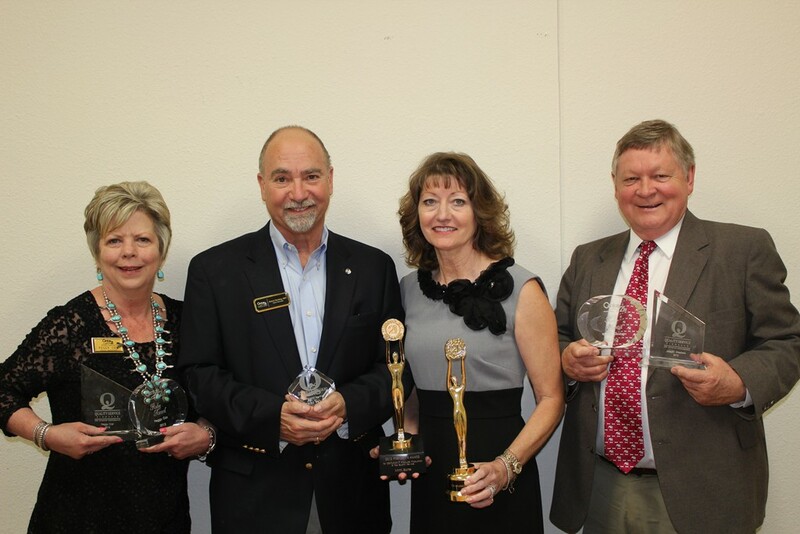 Peggy Cox, Quality Service Pinnacle and Masters Ruby; Robert Menking, Quality Service; Mimi Bartel, Centurion and Quality Service Pinnacle; Wes Giesbers, Quality Service Pinnacle and Masters Ruby. So proud of these agents. They worked hard and are rewarded with great recognition. 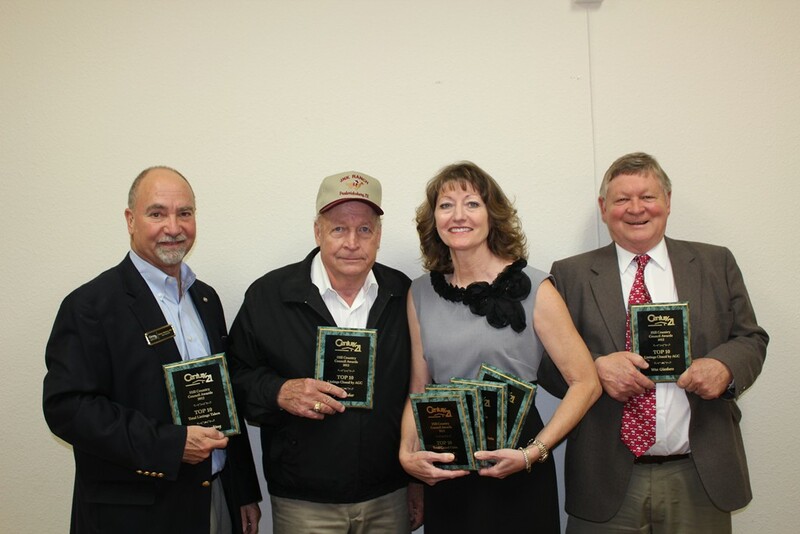 Robert Menking, John Kuker, Mimi Bartel and Wes Giesbers were all honored at the annual banquet with being in the top 10 award winners for the entire Century 21 Hill Country Council. Over 5000 wildflower species make their home in the State of Texas. The Texas Dept of Transportations’s seasonal wildflower hotline is 800-452-9292. Spring is Here!!!! The Bluebonnets are in full bloom and growing up daily all over the Hill Country! Now is the time to spend your weekend driving through the beautiful Hill Country with your windows down and radio on. Even though we didn’t get all the rain when needed to get this past fall the Bluebonnets still seem to have made their way up through the ground to grace us with their presence. Bluebonnets have been loved since man first trod the vast prairies of Texas. Indians wove fascinating folk tales around them. The early day Spanish priests gathered the seeds and grew them around their missions. This practice gave rise to the myth that the padres had brought the plant from Spain, but this cannot be true since the two predominant species of bluebonnets are found growing naturally only in Texas and at no other location in the world. How lucky we are to be able to stop our cars, jump out, and take great family pictures with them all spring long? 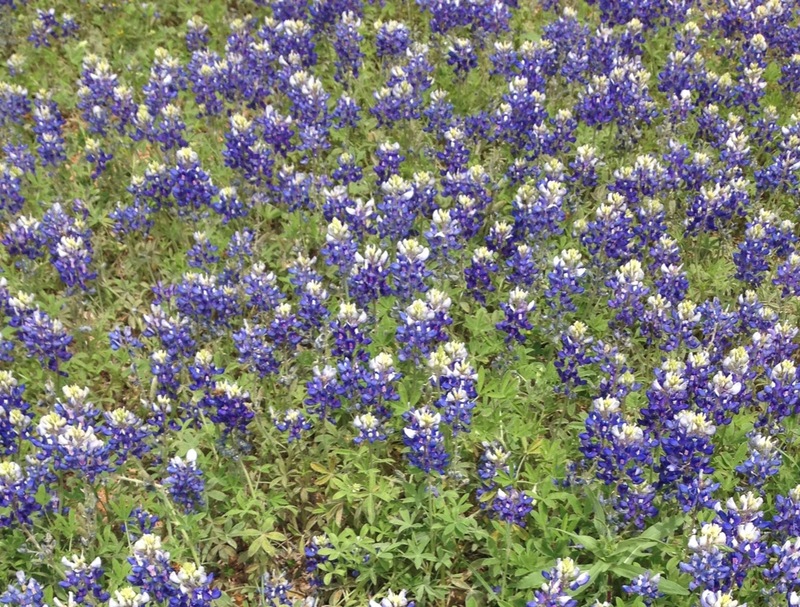 Thank you bluebonnet for continuing to grow every year for us to enjoy your beauty…. These sales are from 12/28/2012 thru 4/1/2012 properties with no improvements.